2019 calendar – now reduced to £5 + postage! Full of pictures to inspire us each month. The great Earl Fee is Mr January – he’s 90 this year so there will be new world records and medals to come, for sure. 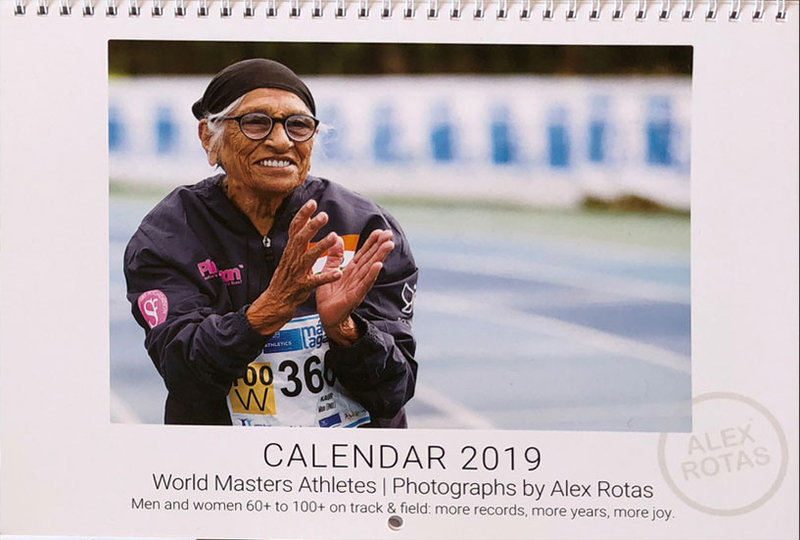 And wonderful Man Kaur, from India, as Ms December showing us that we can still run and compete joyfully at 102. Plus lots of great masters athletes in between. You can buy with PayPal below, or EMAIL ME for multiple copies and/or to pay by cheque. I have a few copies left, and want to clear the decks ready for my next book! 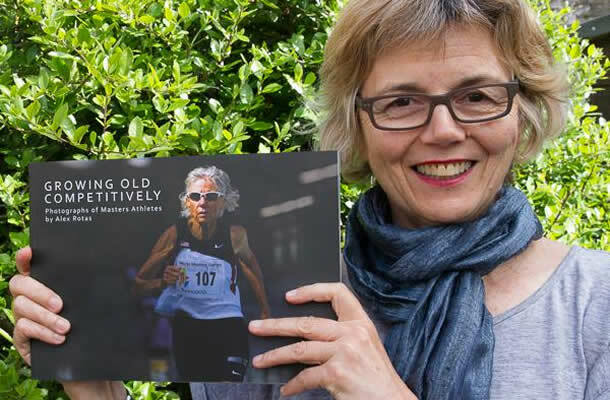 A celebration of athletes and of the process of growing older, this 56-page book showcases photographs of inspiring older athletes and their stories. A must-have for anyone interested in track and field athletics, in physical activity and in looking optimistically and joyfully at so-called old age. Personalise your order by requesting a handwritten message from Alex inside the book. Leave blank if none required. My images tell human stories which grab our attention, draw us in and invite us to rethink what’s possible in our own lives. This makes them particularly powerful in sports, health and wellness spaces. From temporary displays (eg. Glasgow 2014 Commonweath Games) to permanent collections (eg. 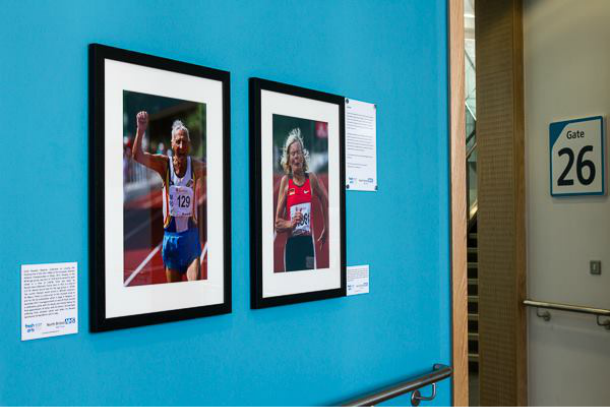 North Bristol NHS Trust’s new Southmead Hospital and the Royal Devon & Exeter Hospital) photographs with explanatory captions have proven to be wonderfully positive, with patients, staff and visitors, who find them inspiring and uplifting. To find out more about how your sport, health or wellness space could also benefit, please contact me. © 2018 Alex Rotas Copyright © All images and content contained on this website remain the property of Alex Rotas. Images may not be reproduced, copied, or used in any way without prior written permission.